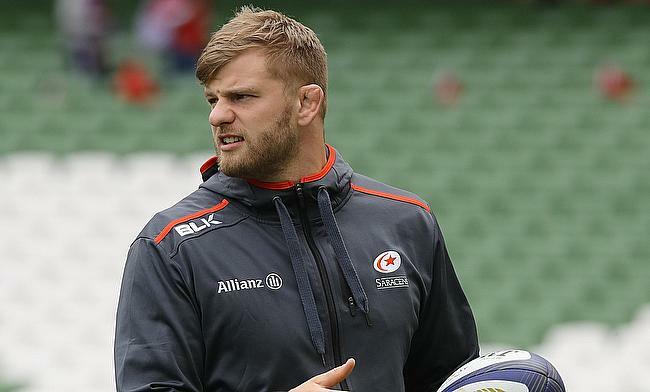 England international George Kruis has been ruled out of the upcoming tour of South Africa as he is set to undergo an ankle surgery. The 28-year-old played the entire game in Saracens' 14-51 win over London Irish in the previous round and will be available for Mark McCall's side for the current season but have decided to go under the knife to cure his long-standing ankle problem. "He's not going to tour, no," McCall said after the 51-14 win over London Irish. "He's going to have surgery at the end of the season." As a result, Kruis joins the likes of Jonathan Joseph, Courtney Lawes, Nathan Hughes, Anthony Watson and Dylan Hartley on the sidelines. Meanwhile, Wasps' Elliot Daly is also under doubt for the summer tour after he sustained an injury during the Aviva Premiership game against Northampton Saints on Sunday. Wasps director of rugby Dai Young revealed that a status on the British and Irish Lions wing will be known in the next 24 hours. "It's too early to tell," said Young after their 36-29 win. "It was more of a collision injury and not an overstretch injury. "They always look worse straight after the game but time will tell. I've had egg on my face a number of times when I've said I don't think they're serious but they end up serious. "And then some guys have been stretchered off but they've been training on Monday. We'll wait and see over the next 24 hours." England and South Africa will lock horns with each other in a three-Test series between 9th and 23rd June with Johannesburg, Bloemfontein and Cape Town being the venues.